Strike Ad – Demand side platform (DSP) dedicated to mobile. EDealya – enables advertisers to target qualified mobile inventory at scale. Somo Audience – Innovating touchscreen solutions for advertisers, publishers and consumers. 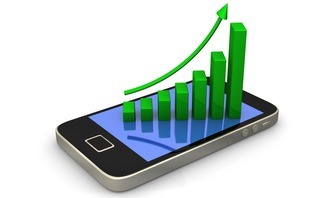 According to the ANA/MediaVest survey, 42 percent of the brands surveyed stated that understanding mobile metrics and nailing down ROI were their main concerns for 2013. Although consumers are spending 32% of their digital time on mobile, only 10% of digital commerce is occurring there. Conversion rates from smartphone to be less than 33% of the rates from desktop and tablets. 28% of mobile searches resulted in a conversion (defined by store visit, call, or purchase). However, many of these conversions were conducted in non-digital ways (offline, in-person). Why is Mobile Performance Lagging? Consumer behavior on mobile is not easily tracked. Attribution remains the #1 challenge. 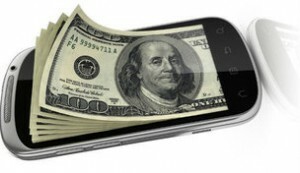 Users are still wary about purchasing via mobile phones. The general gist was that users feel desktop is more secure. This seems to be a mobile web issue given the crazy growth of mobile app plays like Uber and Hotel Tonight where hundreds of millions are being transacted. The mindset of most retailers is not on consumers put on products. What sells is more important to them, than who buys. POS data and focus on it remains a challenge. A constant conversation on the panel. From EU scrutiny to watchdog consumer advocacy groups, the fear of total attribution is palpable. Deriving, in essence, a universal ID from the data is an anathema to security conscious groups. Its the elephant in the room. Tablet behavior feels like desktop but the user experience and tech is decidedly mobile. So what is tablet usage? Facebook. Their ecosystem enables a level of targeting as well as attribution that is second to none. As one brand in the room exclaimed — “We are doubling down on Facebook”. Video sites — mobile inventory is selling out as the mobile video experience is sufficient to create brand awareness. No one expects performance on video, but advertisers see it as an essential branding component of their advertising mix. No surprise that the issues in 2013 will remain issues in 2014. Don’t expect any crazy breakthroughs. Improvements will remain incremental until the attribution issue is resolved. Until then, mobile performance will be spotty in the eyes of the advertisers.